The discount frenzy of Black Friday and Cyber Monday may be over for this year, but there are still lots of great camera deals out there . The original DJI Mavic Air is one of the most popular camera drones out there - and we have rounded up our favorite ones on both sides of the Atlantic in our updated Cyber Monday camera deals . But we are still spotting new deals out there. A camera drone is a popular gift for Christmas... and we have noticed that Amazon UK has cut £30 off its price of the original DJI Mavic Air, and can now be bought for just £639. The DJI Mavic Air is the perfect starter drone for anyone who fancies getting into aerial photography. At £639 the basic drone kit is being sold at £60 less than the RRP, and a £30 cheaper than we can find it elsewhere. 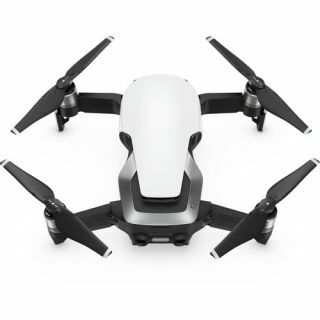 This price is only for the Arctic White version of the drone.... you will pay more if you choose the red or black versions.